Our first Sparring Partners is now available for you to watch. 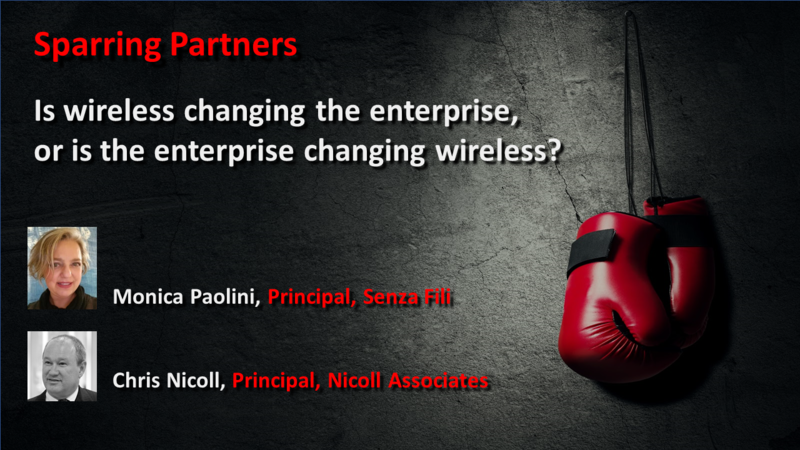 Chris Nicoll and I debated the question of whether the enterprise is changing wireless, or whether wireless is changing the enterprise for an hour. Just video, no slides, but plenty of questions and feedback from the participants. Chris and Monica had fun arguing back and forth on CBRS, 11ax, private networks, small cells, mmW, and who will pay for all of this. We hope you will enjoy it too, and would love to hear your thoughts on the new format, as we refine it for future Sparring Partners.